Today's readings tell us of the experience of divine presence and the human response of the individual. We have here three important persons mentioned in the Bible: Isaiah, Paul and Peter. All the three persons were most grateful to God for having chosen them and they did make a great effort to answer the calling to the best of their capabilities. This is not to say that they were all perfect persons. Prophet Isaiah wished at times that God would have chosen someone else because the people would not listen to him. He viewed himself as a great sinner among sinners, not worthy of being in the presence of Yahweh. 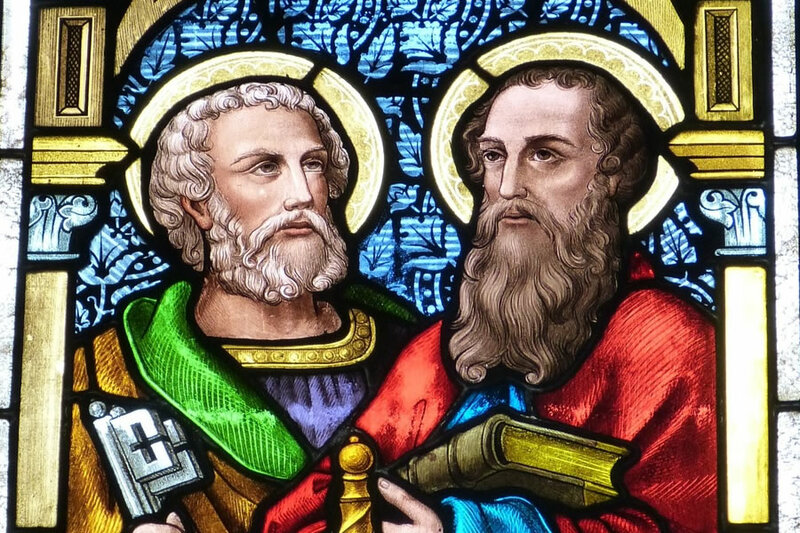 St. Paul started on the wrong track by persecuting the Christians. He having persecuted the Holy Catholic Church instituted by Jesus viewed himself as being unfit of being called an apostle. Peter the first Pope, begged Jesus to get away from him because he was a sinful man. He ran away from his master and denied him during the last twenty-four hours of His life. All of them were weak. All of them made mistakes. But what was most important, all of them had sincere hearts and overcame their weaknesses by placing their complete trust in the Lord. Each person responded in a unique way to the divine presence. There was a desire to cling to the Lord and not leave his presence, having experienced his grace functioning in their life. When they found themselves unworthy to be before him the Lord turned to them and filled them with his grace to be sent out as his messengers. Prayer is a loving encounter between God and I in which I become aware of who I am. This, I think, is the central theme of the Liturgy of the Word this Sunday. The First reading (from Isaiah 6:1-8) and the Gospel text (Luke 5:1-11) describe to us the encounter of two individuals with God, and what happens to them in that encounter. In the Gospel text of today, God in Jesus encounters Simon in the place of his work. Jesus often meets us where we are, just as he encountered Zacchaeus on top of a tree (Lk 19), the Samaritan woman at the well (Jn 4), and Cleopa and his companion on the road (Lk 24). Further the readings invite us to consider three interlocking elements of our Christian living namely, faith, experience and discipleship or mission. St Teresa of Avila, in her classical work, The Interior Castle, speaks about growth in contemplation in seven stages like the seven mansions of a castle. As we climb up the castle of our interior life what we come across at the first mansion is self knowledge in prayer and contemplation. According to her, this knowledge leaves us with a deep sense of humility.